Some class balance changes will go live sometime tomorrow, with number changes around 5% where needed. 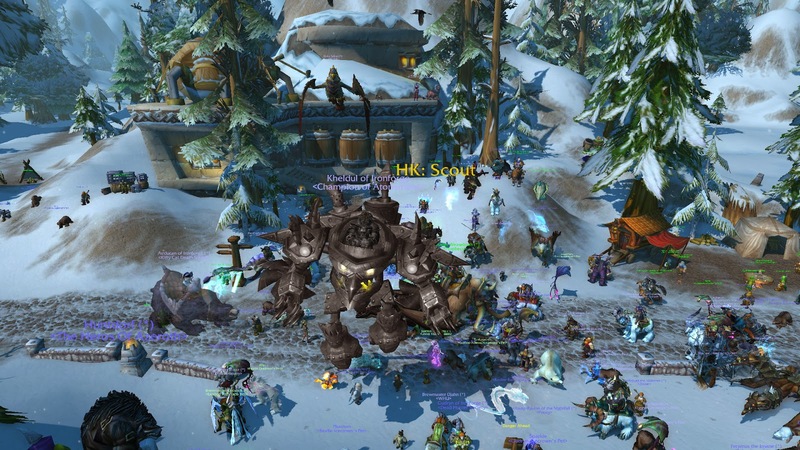 There are only a few specs like Marksmanship Hunters and Windwalker Monks that are pulling a little too far ahead than the others. When a spec is top on both movement and stationary fights, they usually need to take a look at the spec. Everyone should be fairly equal in single target, although may still have niches (stationary vs movement). Once you get beyond single target, some might be good at cleave (2-3), some mass AoE, some burst AoE, etc. These points seem to imply that the author thinks that the Marksmanship Hunter is a movement spec. Or that Blizzard developers consider all hunters a high-movement spec. Or perhaps that MM just is doing well on "high movement" fights. I'm still trying to get my head around this. I have seen the first six fights in Highmaul. I only switched to BM for the twins because the fire required a bit too much movement. (I could probably do it with MM after seeing it now.) That said, it doesn't seem like MM should be nerfed across the board. I would think we should get a general nerf and then a buff to sniper training. Or else I'm not sure what they're trying to do with MM. Maybe they have simply forgotten as an organization. Is this confusion with me, the messaging, or the future design? I can't tell. Class balance is good if all DPS classes and specs could be within 5% on average, that sounds great. The last bullet point they give could be fine or could be bad. IMHO different specs should excel at different types of fights. Nobody should be left behind. But that comment could be a call for extreme homogenization which would be bad. Again, it is unclear messaging. Level 100 talents in general are have some serious balance issues compared against each other. They do think the level 100 talents that are underperforming but fun should get a buff in 6.1 or 6.2. For talents that people do not think are fun, they may just leave them alone for now and completely replace them next expansion. Hooray! Could exotic munitions and focusing shot get a buff please? They're both quite interesting and intriguing options but lack the impact of Lone Wolf or Adaptation. Perhaps they'll just nerf Lone Wolf and buff SV a lot and BM a bit in other ways. Blizzard's messaging here is intentionally not clear and that's fine for now. If Hunter stacking becomes an issue in Mythic raids, they can nerf Aspect of the Fox or even remove it. It was added mainly because it was felt that Marksmanship Hunters didn't bring enough raid utility. This sounds like a threat of some sort. e.g.- "Don't do it or we'll nerf you." 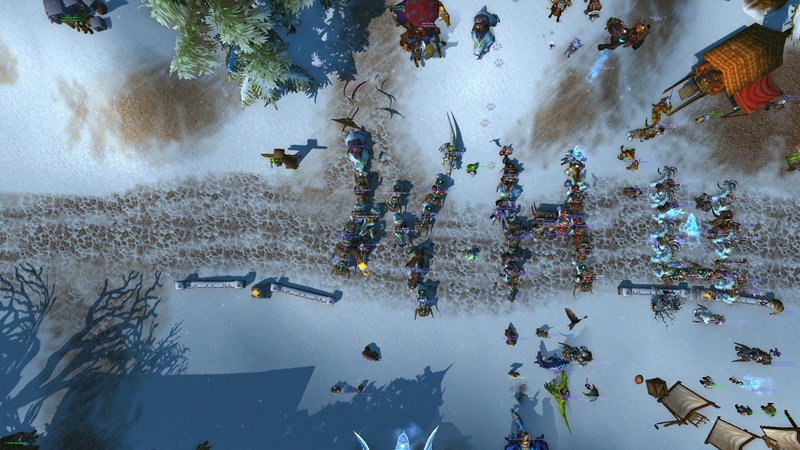 If this is seriously the official messaging not just to the Mythic raiding community, but to the Hunter community, then things seem to have gone downhill. Was this use not predictable? 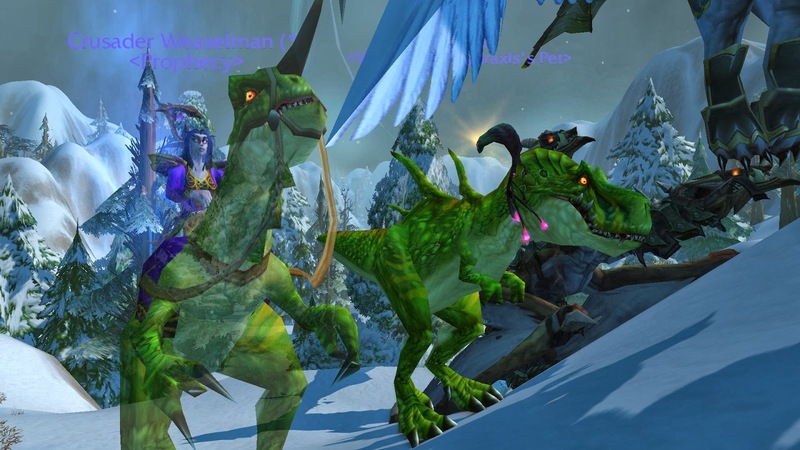 Every reasonable raiding hunter I know thought about how we could chain them together. Is this really news of some sort that it could be extremely useful if used in that niche way? Did Hunters ask for this specific design? 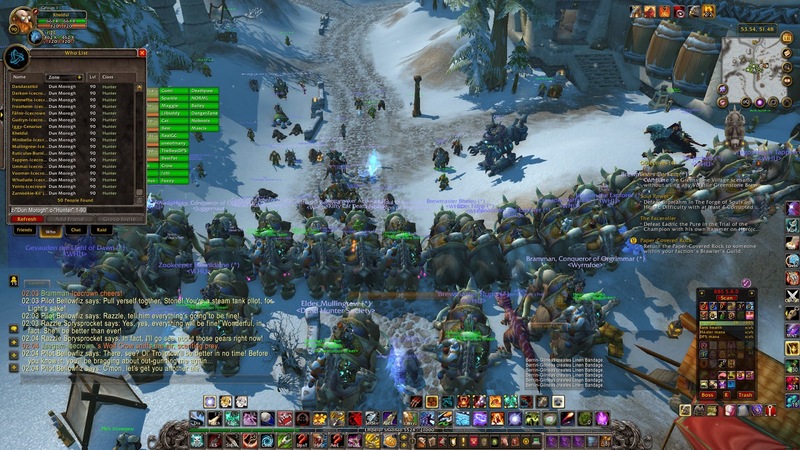 I don't recall a single blog post asking for this kind of raid cooldown. 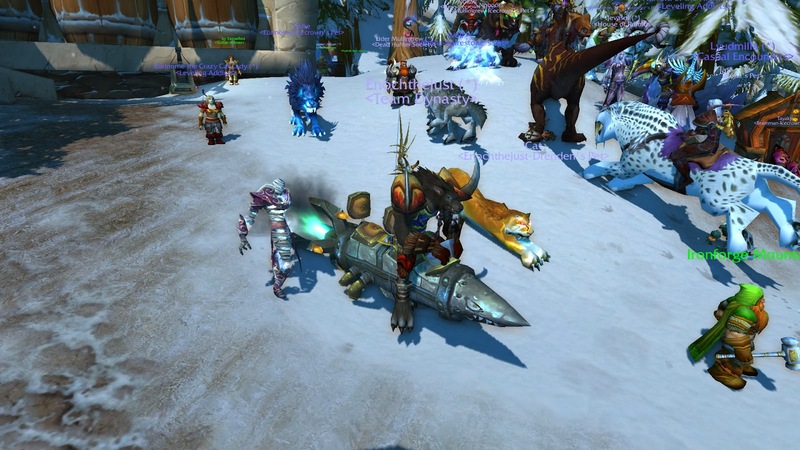 But we had asked for dozens of other types of raid cooldowns ... none of which would be chain-able like this. The other improper thing here is the messaging that Marksmanship Hunters needed the raid utility. Is this some implicit hat tip to MM being the raider spec? Even in the context of the first section declaring spec parity within 5% as a goal? Maybe this is blue post didn't get any editing. Maybe it was written by while half awake. Is my confusion warranted? Can anyone help me out? An intro to my addon setup in the vacuum left by JSHB. This video focuses on using NeedToKnow in order to more easily maintain uptime on the Marksman sniper training buff. You will see some of the ways I've substituted-out JSHB however. JSHB was not working at all for me following the launch of 6.0.2.. I use it on my hunter and rogue. It did not show up. I could not get /jshb to do anything. Others reported that they had it working but it killed their frame rate, or that it was only partially working. JSHB is not maintained and hasn't been for a year. The developer or series of previous developers are no longer playing. Download the latest Release edition of Ace3. Delete the libraries in there. Edit the Interface/JSHB/JSHB.toc file and set "## Interface:" to 60200. 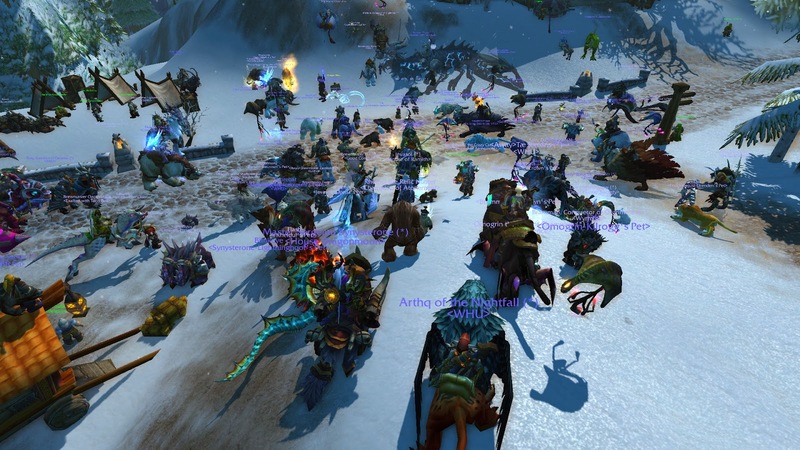 Start wow and make sure the addon is enabled. I'm looking to get a permanent replacement to JSHB. NeedToKnow, which was updated for 6.0.2 has an experimental option to show focus. It's not where it needs to be for real use yet though. The sky is falling! I really don't want to be this person. 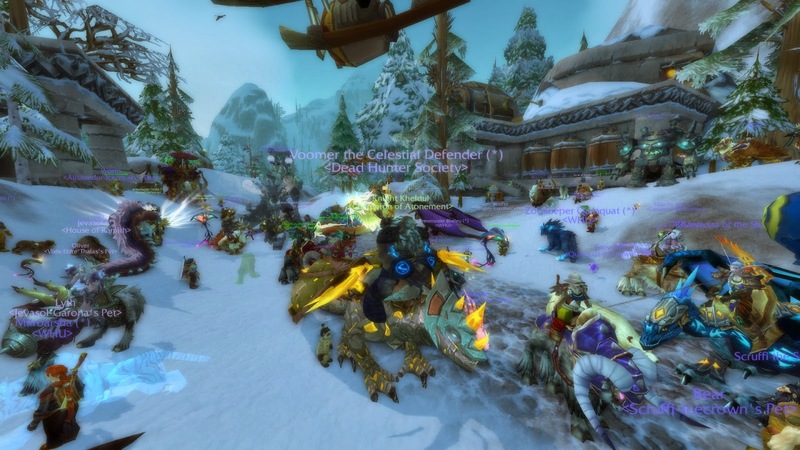 The issue is that we, as hunters, have been on the low side in expansions before. 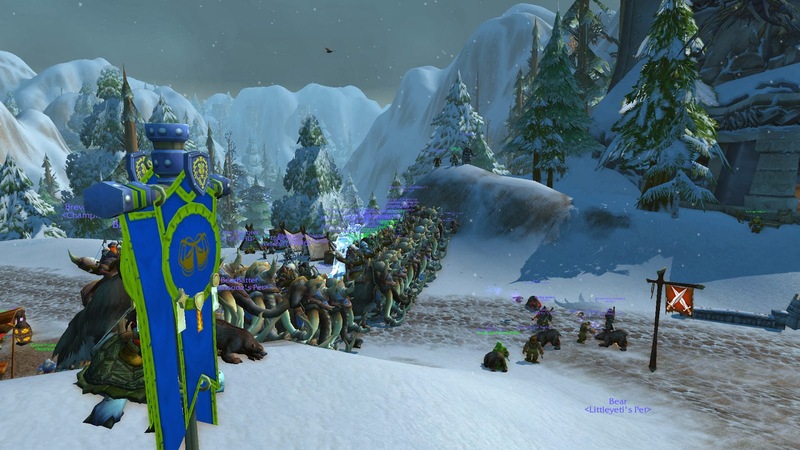 Blizzard eventually fixed us with various buffs here and there but those always happened after months of progressive raiding occurred. The sky is falling! Our numbers are low. They're like really low. 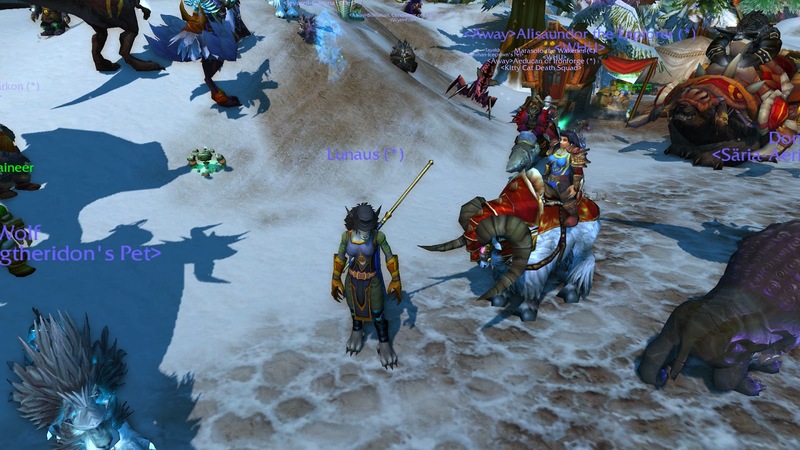 Like holy priests can out-dps hunters. All three specs are terrible. We're half the damage done in simulators of warriors and mages and far far behind everyone else. The sky is falling! There are tons of caveats with the sims. The most commonly circulated ones are "Patchwerk" style. 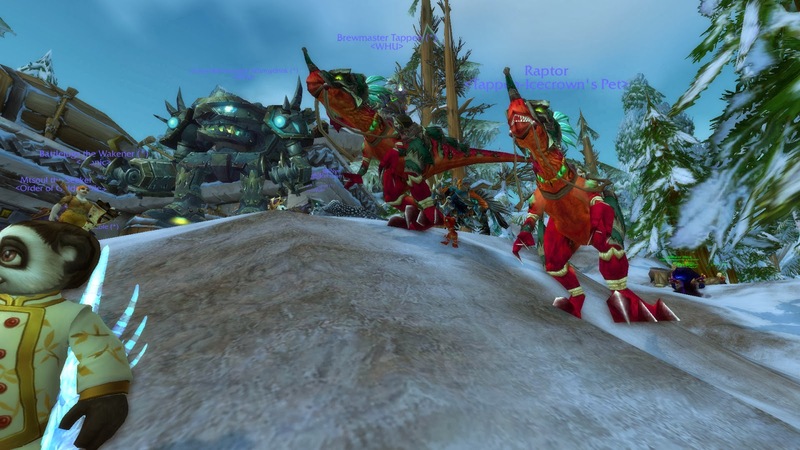 Hunters are supposed to be the dps-on-the-move class. So, in a "Helter-Skelter" simcraft set-up, we should be much better. Well, no. We should be as close to the same as possible and everyone else should be worse. 50% worse? That's hard to believe, right? The sky is falling! Are the sims right? Nope! Many sims are looking at level 90 and frankly, Blizzard doesn't care about balancing anything at level 90 anymore. Are the sims doing the right conservation of focus for the shots, or prioritizing correctly? I somewhat doubt it. The simcrafters are trying to model dozens of specializations. 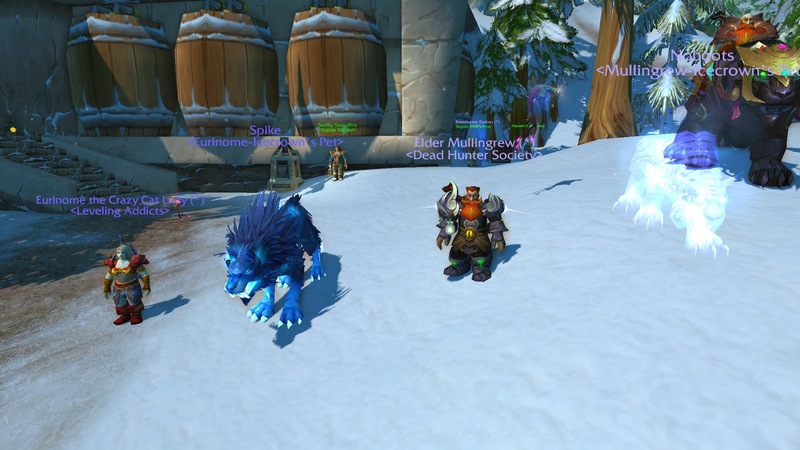 Even if just looking at hunters, you need to pick some heuristics and tweak focus regen and stat weights (gems, enchants, etc) around it. The sky is falling! But Survival just got a buff and others got buffs and nerfs. That's great, but it isn't great in that it was enough of a buff/nerf. It's great that Blizzard is tweaking as well. The sky is falling! Here's the thing the simulators have an easier time and a harder time. It's easier because there are less stat weighting to consider. It's easier because there are less abilities to prioritize. It's harder because there hasn't been enough thought and experimentation by creative people into what should be done. 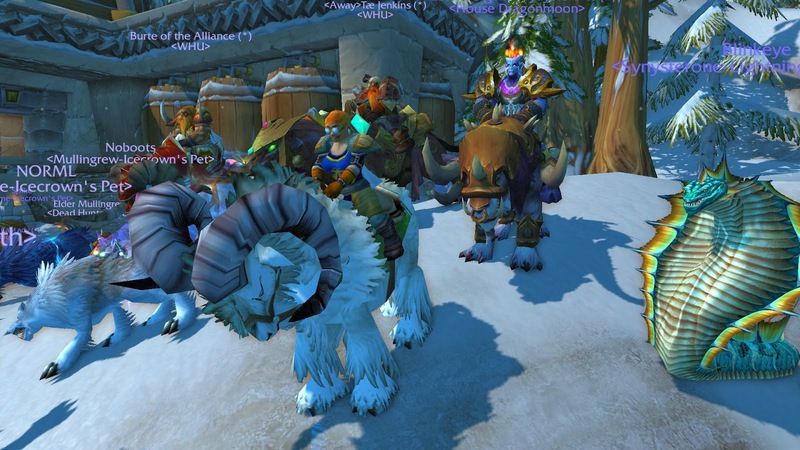 All that said, on the surface and at first cut, hunters are in the dps basement. The sky is falling! For now, just enjoy your time. Try the new UBRS. Get your stuff in order. Prepare to level. Try out MM, BM, and SV. Try and get some muscle memory going with rotations. 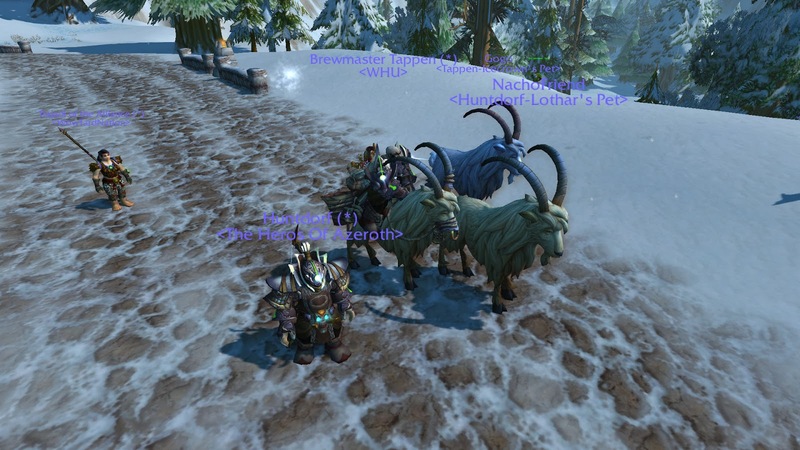 Get your addons so you can more easily visualize what you need to watch. Try raiding if you raid. 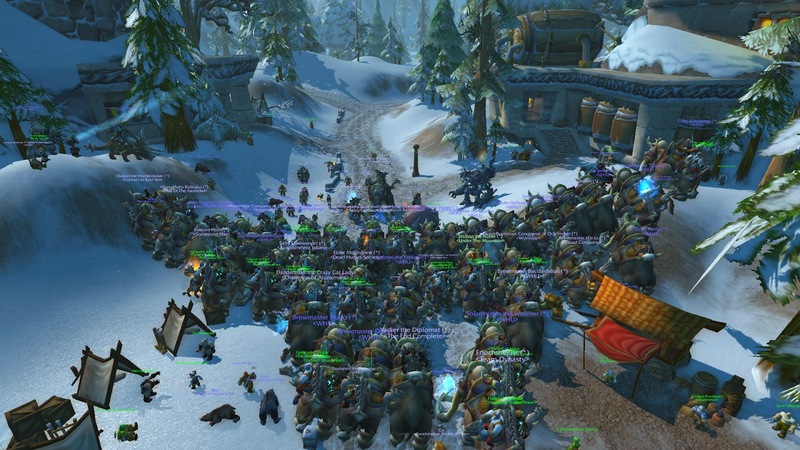 If Blizzard is watching they'll see the numbers and continue to tweak. I have a large collection of Ghostly pets. 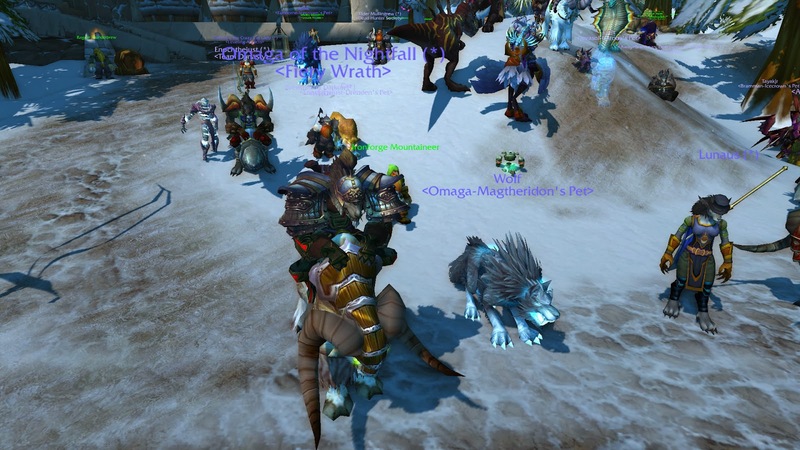 The Ghost Boar with Armor Barding will most likely going away with WoD. He's a tame that maybe you shouldn't be able to tame. 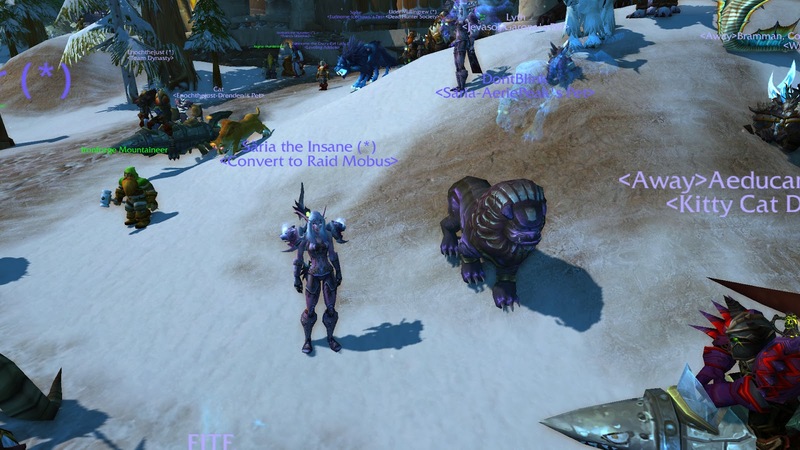 Blizzard has patched tames like this in the past. 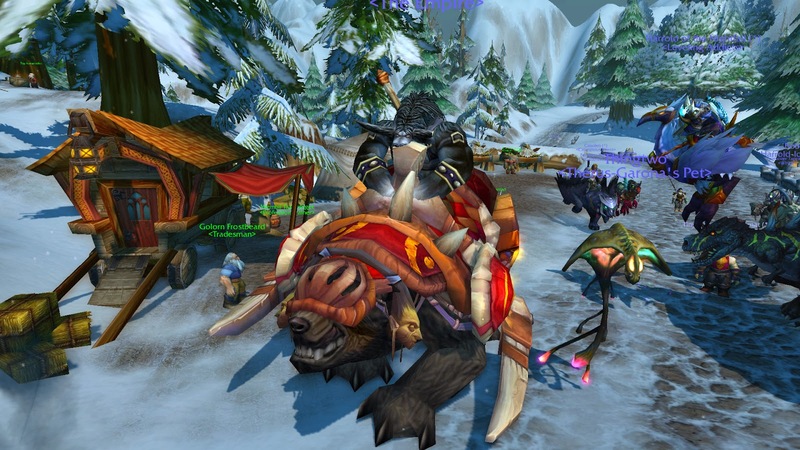 For instance, you can no longer tame the Boar on Fire with Armor Barding. The Slime or Three-headed Ghost Hydra. The summoned Spore. The Ghost Wolf. The list goes on. You'll want to grab this and it's fairly simple. 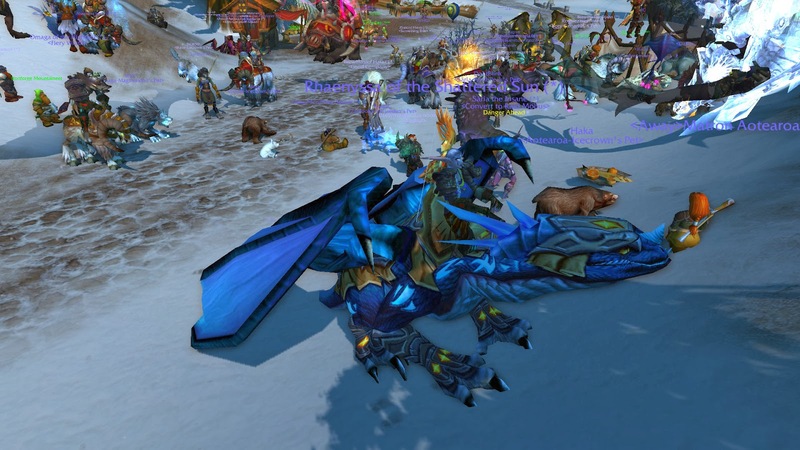 First head to the bottom of the Southern Barrens. Because of the disruption to the world, you'll want to then head west. Pass over Razorfen Downs. 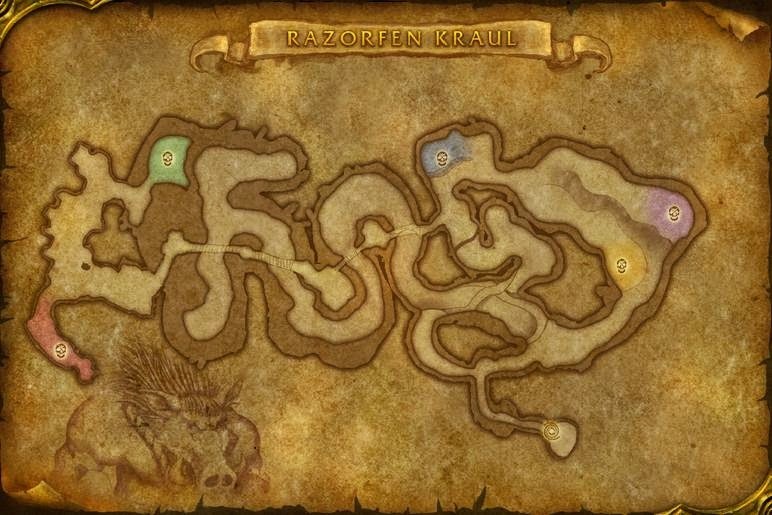 You want to go farther west to Razorfen Kraul. It is to the west of the road. Side Note: Traveling to that part of the world is easy for horde with two main cities to choose from. Alliance engineers can use their portal tool to get to Gadgetzan. Or they can ask a mage to port them to the obliterated city of Theramore. Otherwise a boat trip to Dustwallow Marsh or Ratchet will have to do. Once you're in the instance, you should remove your weapon, legendary cloak (if you have one), and any AoE proc trinkets. You can punch the mobs to death, or just run through them and FD. You'll make your way, bending right, and then walking up a little crevase (passing the boss you want to get to on your left). Make a hard left and you'll see him in a little hut. I punched out everyone on my way there. Don't get punch-crazy and nuke the boss too. Get your tame button ready. Then walk over to the boss to engage him. Don't hit him. Stand around and wait for him to cast a summoning spell for your new pet. Once it's arrived, tame it. It may die afterwards. That's okay. Just rez him and he'll still be ghostly. Below are hunter-centric macros. They are not only for hunters of course and could easily be extrapolated to other classes. I didn't highlight my Survival specialization macros as I haven't used them in a few months. I use macros to ease my play. I have grouped them into sections called "Combat DPS Macros", "Combat Utility Macros", and "Everyday Macros". I've attached some videos so you can see a few of them in action.